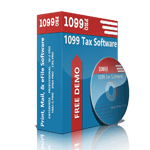 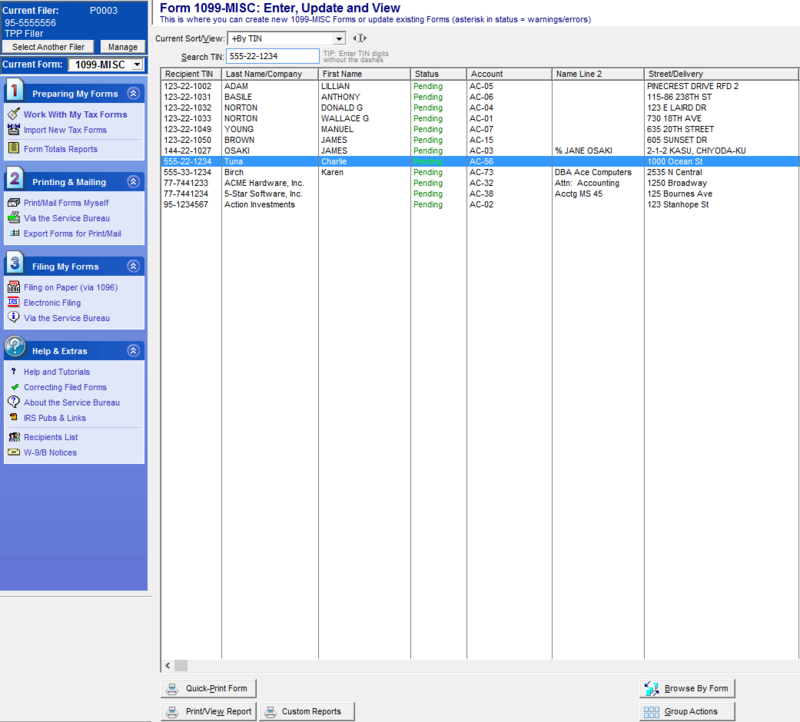 1099 Software for 1099 Print, 1099 Mail, & 1099 eFile Services. 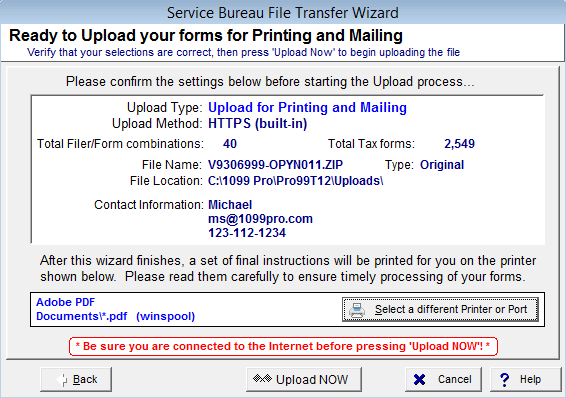 Corrections are supported for printed format or for electronic submission through the Service Bureau. 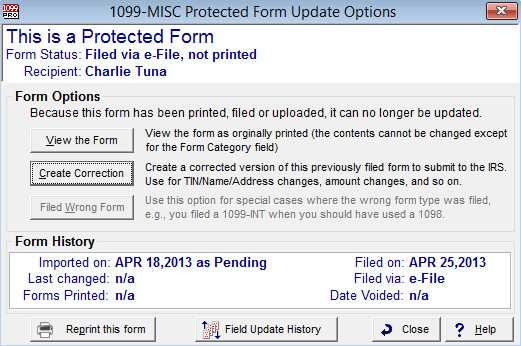 Simply enter the correction into 1099 Professional and 1099 Pro automatically creates the correct type of correction for you. 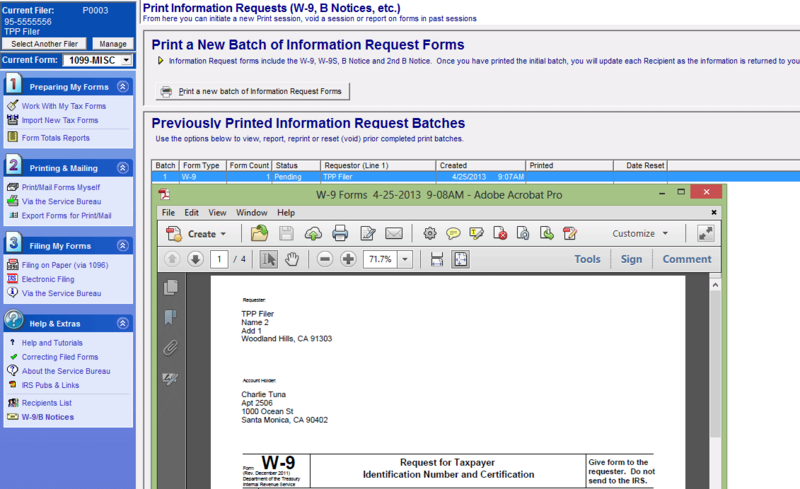 1099 Professional Edition: The Ultimate 1099 Printing Software for Printing & Filing Services. 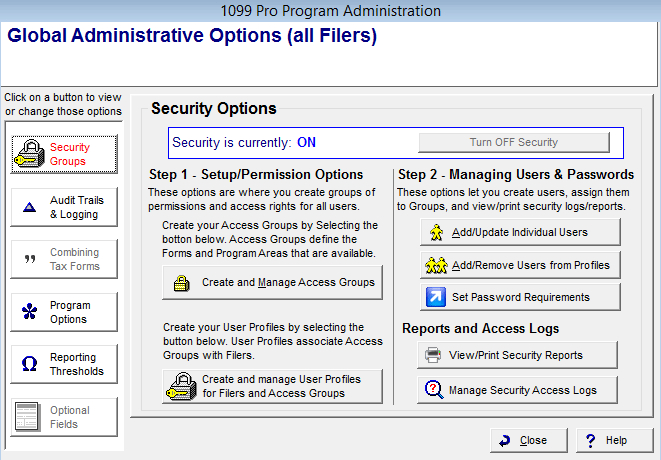 Learn how to add a Filer in your 1099 Pro. 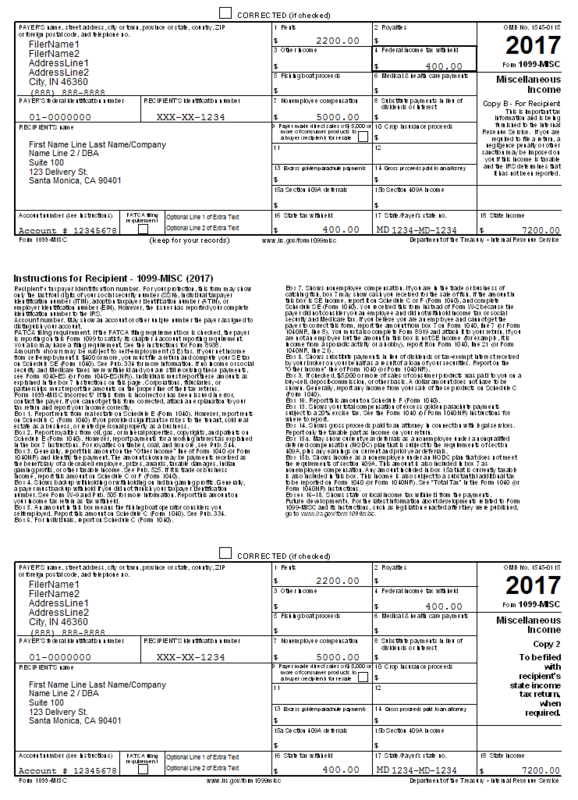 Learn how to add a form in your 1099 Pro. 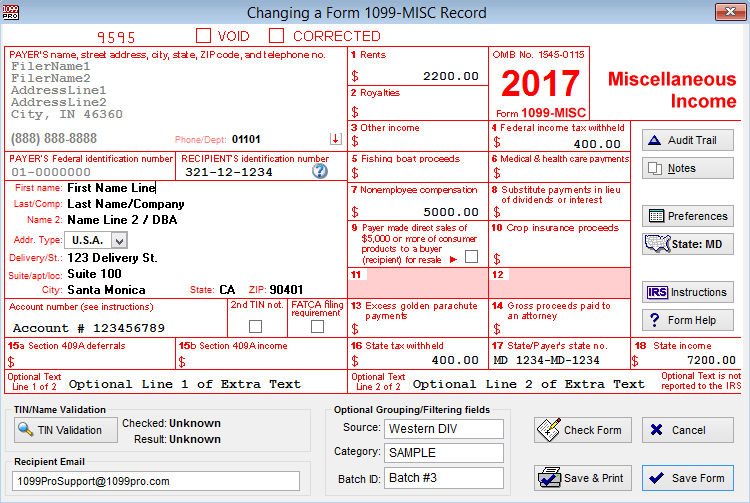 Learn how to use the Quick-Print feature in your 1099 Pro.